Organic Food themes has been purchased 37, rating: 4/5 based on 4 reviews. 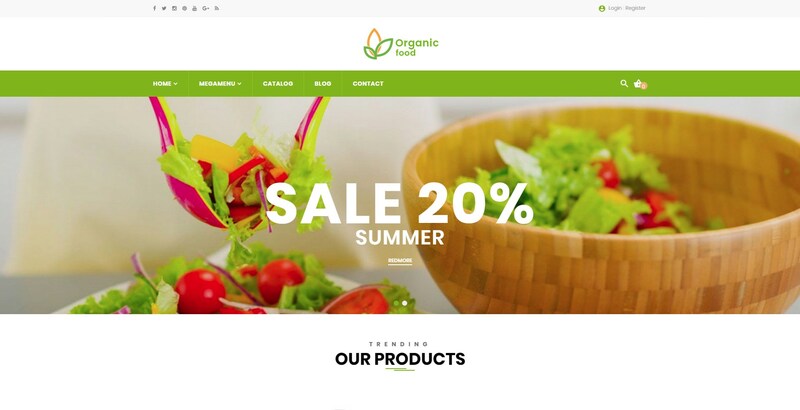 Organic Food Shopify theme deserves to be one of the most popular Shopify themes for organic stores. It has modern design and attractive images. Besides, it can also be used on any device. In addition, the Organic Food Shopify theme integrates many of the necessary features for a Shopify store and includes a flexible control panel. You will definitely be pleased with the value that Organic Food Shopify theme brings.